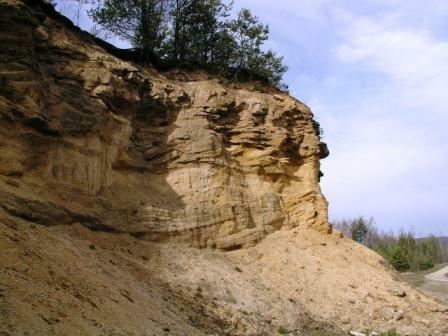 Today, the Erika Sand Quarry is the most exposed section of the Staré Sedlo Formation, which is the oldest sedimentary unit of the Sokolov Basin. 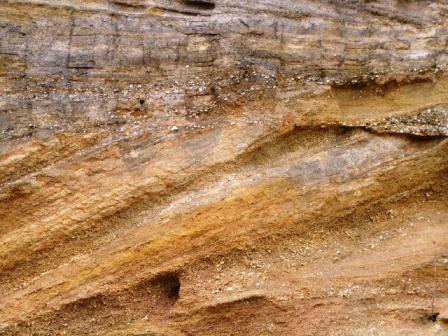 The clastic deposits of this unit formed in the early Tertiary Period in an environment of fluvial streams and shallow lakes. 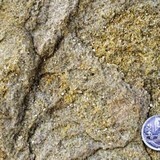 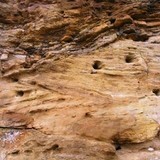 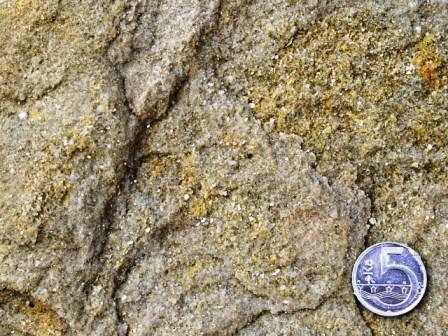 The overall thickness of the formation at the locality is over 20 m, of which the top 12 m were mined. 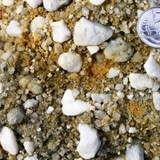 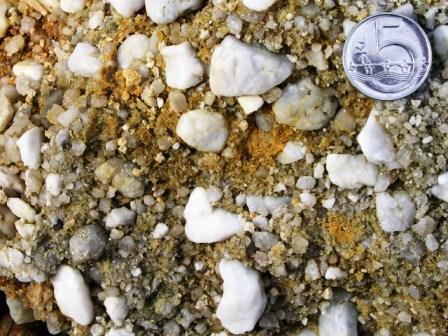 In terms of composition, the formation contains primarily gravel and sand that is sporadically cemented together by silica or iron oxide, thus forming conglomerates and sandstone. 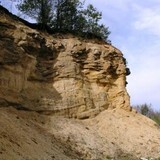 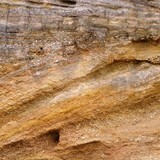 The sand quarry provides an ideal location to observe various types of stratification, bedding and rock structure, which indicates the mechanism and environment that was present during the formation of the strata. 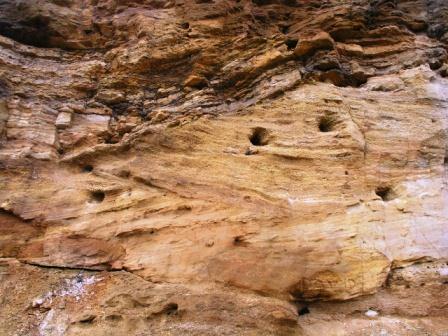 Particularly impressive and unique are the sections of aggraded bars along stream beds, accompanied by the erosion of previously deposited layers. 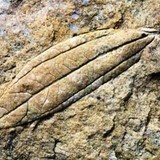 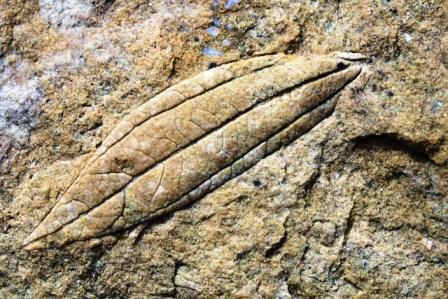 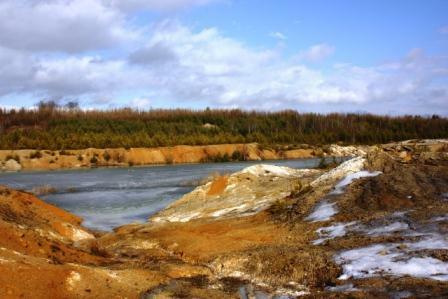 Erika is known internationally as a locality containing Eocene flora – the plant community of the Staré Sedlo Formation bears the characteristic traces of the so-called primeval evergreen forests of a subtropical zone. 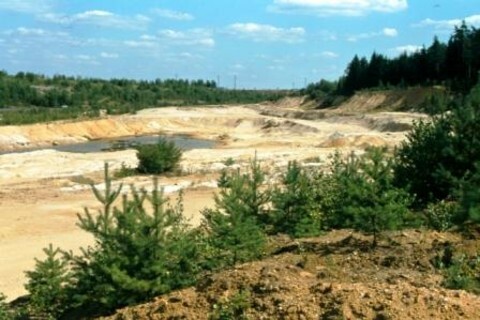 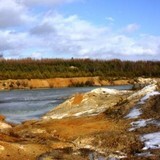 Until recently, sand and gravel was mined and sorted in the sand quarry for use in water reclamation projects at the extensive coal mines in the Sokolov mining district.